In this file photo, Beyonce performs on stage during a Get Out The Vote concert in support of Hillary Clinton at Wolstein Center in Cleveland, Ohio on Nov. 4, 2016, in Cleveland, Ohio. Beyonce is being sued by the family of slain YouTube star Messy Mya after using a sample of his voice in the hit single “Formation,” NBC News reported. 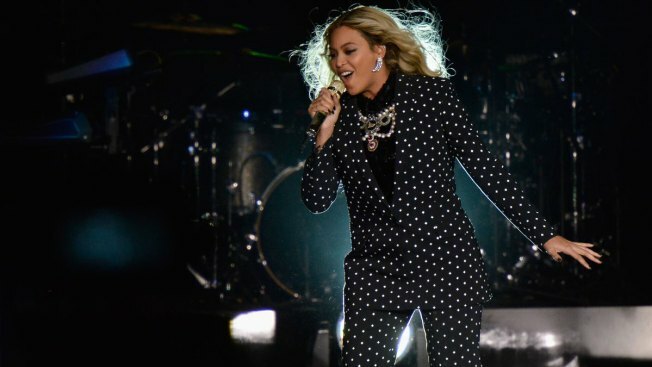 The estate of Messy Mya, an LGBTQ rapper and New Orleans native, is suing for $26 million, alleging that Beyonce swiped copyrighted material. Mya’s voice, his family claims, was used to “create the tone, mood, setting and location” of the “Formation” video. Mya’s line, “I like that,” from his 2010 video, “A 27 Piece Huh?” appears to be used as a sample on Beyonce’s track. As part of the lawsuit, Mya’s estate is seeking $20 million in back royalties and songwriting credit for Mya. Mya was fatally shot in 2010 at age 22. Beyonce reps could not immediately be reached for comment.